J.K. 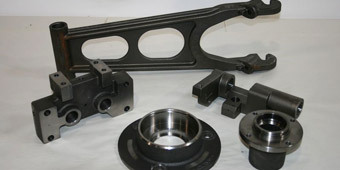 Pulley Company, Inc. offers comprehensive CNC milling services for the machining of various parts. Our CNC milling centers are outfitted with the latest tooling equipment and are operated by a number of experienced machinists, allowing us to produce parts that strictly conform to customer design requirements and specifications. We are equipped with advanced automatic CNC mills, including a 4-axis Okuma MH 500 horizontal mill, which can produce machined parts with low cycle times. Our CNC milling machines have a variety of working envelopes and travels, thereby allowing us to handle a wide range of machining projects. We have experience in working with a diverse range of materials, including steel, aluminum, brass, titanium and plastics. 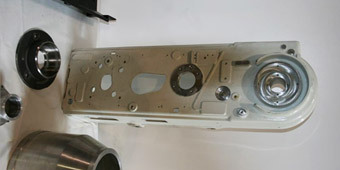 We are capable of handling both short prototype runs and high volume production runs. We are an ISO 9001:2008 certified organization, committed to providing customers with a consistent quality product every time. We further ensure quality by using the latest state-of-the-art inspection equipment.